How happy were you overall with ButterflyCup? 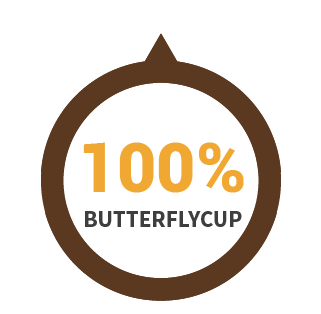 How likely would you be to choose ButterflyCup if it was available in cafes, garages, shops, etc? If given a choice between ButterflyCup and the standard cup and plastic lid which would you choose? I hate when you’re driving and you get a little spill on your tie or on your shirt. It’s really annoying. I don’t like drinking through the little hole in the lid so I take the lid off which makes it difficult to walk around with. You have to dodge around the place to avoid spilling most of it. Coffee spilling in the car is a real nuisance because it goes all sticky. If only a few places had this cup I would look out for them and go there for my coffee. If I went into a coffee shop and they had this I would take it because it’s so practical not to have a lid. It would be faster than a cup and a lid as well. Better for the environment, better for me, very functional and a great idea. I love it. I think it’s a great idea. I liked the no spillage and it didn’t leak and also was easy to hold. You could walk around with this and it wouldn’t spill or leak. A version of this for beer at a festival would be brilliant because it always spills when you’re carrying a few glasses or trying to dance with a drink in your hand. This is better than the cups we have now so I would be happy to see it. The regular cups cause so many problems for so many people. I really liked the fact that no lid was needed and that the whole cup is recyclable. I hate the plastic lids on the original cups and also don't like the hole in the lid. Thought this design was a lot more effective. The design makes it easier to open and close the cup without the possibility of spill/burn from doing the same with plastic lid. I loved the way the cup was that little bit higher, safer when its cooling and you’re walking around. Easy to grab from the car cup holder too! Doesn’t spill out the top hole while you’re driving. Easier to open/close, use in car, walking down street. I think this cup has a fantastic design and is versatile in its uses. I found it very handy in the car and also used it one day as a lunchbox for pasta for my daughter. WANT A CUP WITH GREAT DESIGN FEATURES AS WELL AS EXCELLENT FUNCTIONALITY?